Sibford students brave the cold to undertake spring clean of school pond to improve biodiversity. 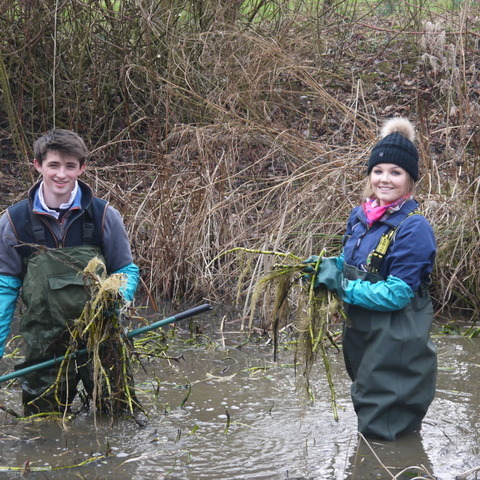 A group of four Sixth Form students from Sibford School near Banbury in Oxfordshire have been spending their lessons standing waist deep in water in a bid to improve the biodiversity of the school’s wildlife sanctuary. 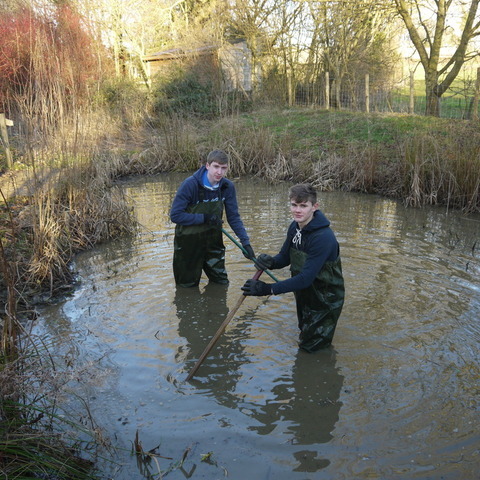 As part of their BTEC Countryside Management course, the students have carried out an investigative project on the school pond… and as a result have cleared both the banks and the water of overgrown vegetation and invasive species.